Please join us in welcoming to the world Diarmuid Seamus Leif O'Ceallaigh ("Dyear-mid O'Kelley"), born Wednesday, August 23, 2017 at 11:08 pm after 33 hours of labor. 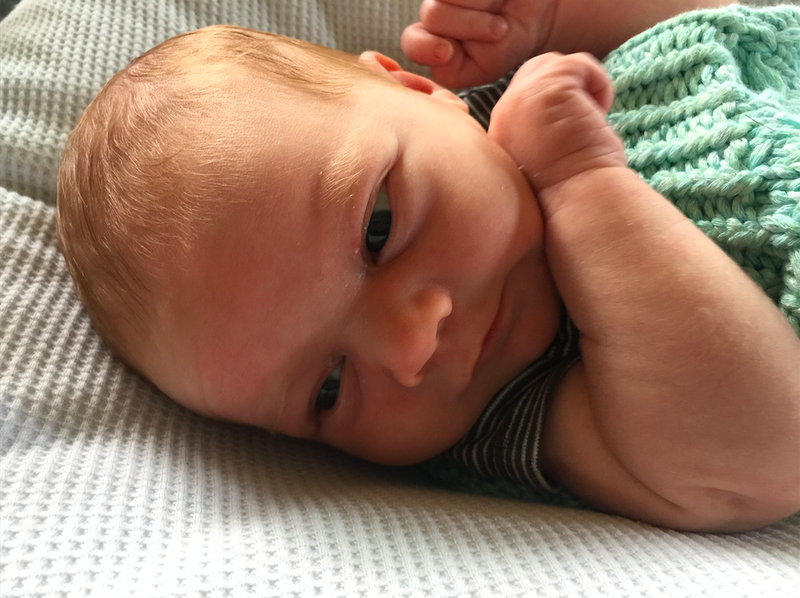 At birth, Diarmaid was 7 pounds, 15 ounces, 21.5 inches and is now thriving after three weeks of life. Seamus and I just cannot stop having our breath taken away every moment, we are so blessed! Diarmuid is growing fast, and his hair looks redder and redder each day. It's hard to know if his hair will be like his red-headed mom or his slightly less red-headed dad. Mom is almost fully healed and Dad is smitten and happier than ever. Grandma Heidi Jo has visited and declared herself "Queen Grandma." Life is pretty damn good, even if we haven't slept in days. To everyone in this rich community, thanks so much for being a part of our lives!